The POSAS observer portion was utilized to assess for vascularity, pigmentation, thickness, surface area, relief, pliability, and overall opinion. Non-ablative fractional laser (NAFL) exposure could be an effective preventative treatment for reducing the appearance of surgical scars, according to a study recently published in the British Journal of Dermatology. In this study, researchers aimed to mimic scarless healing found in fetuses by using NAFL exposure to minimize scarring throughout the wound-healing process. The study included non-smokers aged ≥ 18 years who had Fitzpatrick type I-III skin and had received referrals for excision due to suspicion of either benign, pre-malignant, or non-melanoma skin cancer lesions. The postoperative excisions were estimated to result in wounds of at least 2.5 cm. Before excision, the lesions were demarcated with a surgical marker. Researchers divided the region into three sections: treatment, control, and an intermediate buffer. The treatment section experienced exposure to NAFL on 3 occasions (before surgery, at suture removal, and 6 weeks after surgery) to target the wound during 3 corresponding stages of healing (inflammation, proliferation, and remodeling). The treating physician used 2 lasers to target both deep and superficial skin (XD MicrolensTM and XF MicrolensTM, respectively). Evaluation of surgical scars occurred 3 months after surgery. The primary evaluation was a blinded clinical evaluation that used the observer portion of the Patient Observer Scar Assessment Scale (POSAS). This scale assesses vascularity, pigmentation, thickness, surface area, relief, and pliability, with a score of 1 representing skin comparable to normal skin and 10 representing the worst imaginable scar. A dermatologist assigned a total score between 6 and 60 to each half of every scar (treated and control). On-site clinical assessments, based on the Vancouver-Scar Scale (VSS) total, photo evaluation, and patient evaluation, supported POSAS scores. NAFL-treated scars exhibited lower POSAS scores on average when compared to control (NAFL-treated median 11 [9-12] vs control median 12 [10-16], P =.001). However, evaluators noted significant variation. Decreased appearance of NAFL-treated scars was noted in 63% of patients, no difference was noted in 26% of patients, and control halves rated better than NAFL-treated scars in 10% of patients. Of the POSAS-observer items, vascularity, surface area, relief, and pliability all showed improvement with NAFL treatment. No difference was illustrated in pigmentation nor thickness. NAFL treatment proved most effective on the thorax, where investigators found a median difference of 3 points. Investigators admit that the study could be improved with more extensive follow-up, as the full benefits of NAFL-induced remodeling can take up to a year to observe. In addition, the research would have benefited from additional on-site evaluators, as POSAS scores often vary by observation. 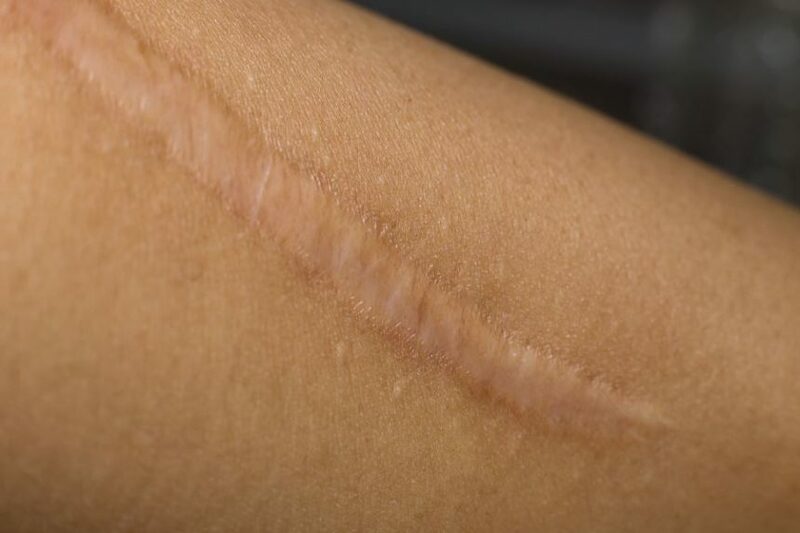 Although NAFL-treated wounds still left scars, this research may eventually inform procedures for scarless healing and shows that NAFL has value as a preventative measure against scarring.